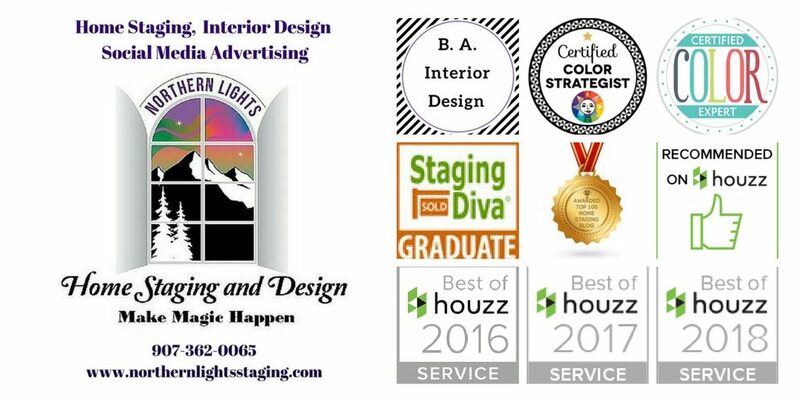 Once your home is staged and looking fabulous and you have great photos, the next step is great marketing! 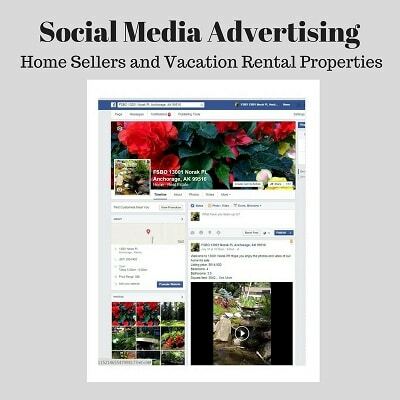 Whether you choose to sell using a real estate professional or as a For Sale By Owner, adding social media marketing to your marketing tool box is a great idea.Your photos can be used to promote your sale on a Facebook page and can be used to make a great video, which buyers love. Below are some examples of what you can do. For more information, see my article on the benefits of social media advertising and check out our Social Media Facebook page. 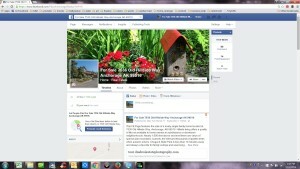 Click here to see the Facebook page I created which includes photos,listing details and videos. 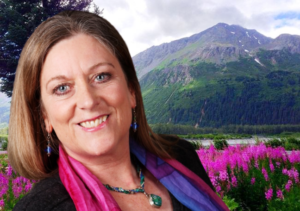 Here is video I created to highlight the features of the exterior of the home to share the best features of their property and the “essence” of what sets the property apart from their competition. I also created a listing for this seller on For Sale By Owner.com and on Craig’s List and we created a For Sale sign for the property with a QR code linking to the Facebook page. Here are some examples of a Facebook page and marketing videos I created for FSBO home sellers at 13001 Norak Place, Anchorage, Alaska 99516. These sellers sold their property within 2 days of listing for above asking price! 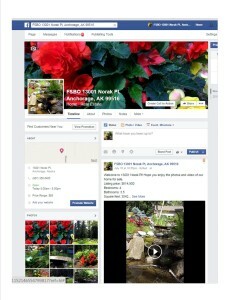 Click here to see the Facebook page I created which includes photos, listing details and videos. Here is a video I created to highlight the features of the interior of the home. The captions are from interviews with the owners, in their own words, to share the best features of their property and the “essence” of what sets the property apart from their competition. This really attracts buyers by giving them a great feel for the property that they can not get from the MLS (multiple listing service). Here is a video I created to highlight the features of the exterior and gardens of the property. 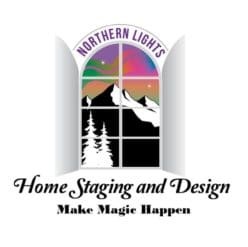 Photos not noted as DMD Real Estate Photography were taken by Northern Lights Home Staging and Design. 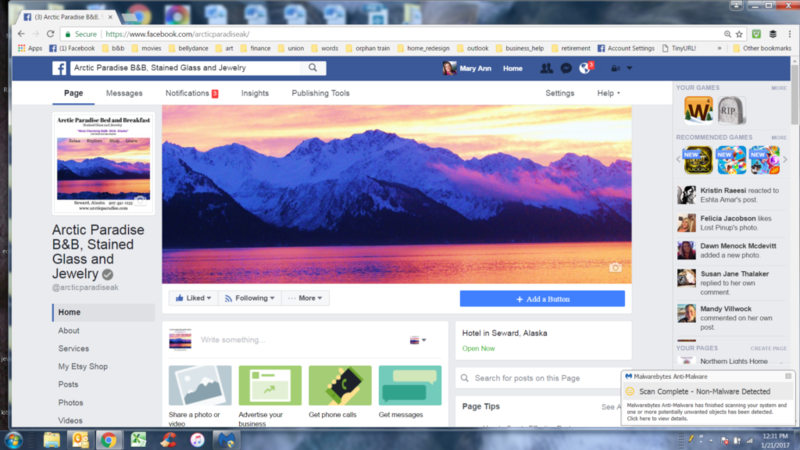 After home staging this Bed and Breakfast, I created a Facebook page for this business and a video to highlight the brand for their website and social media advertising. Read more about this project and how home staging and social media advertising helped increase income and bookings by 200%.